So I ordered some evaluation boards (about 100€/pcs) for me and two collegues who are studying with me at the NTB. Our goal is to have fun with wireless applications. 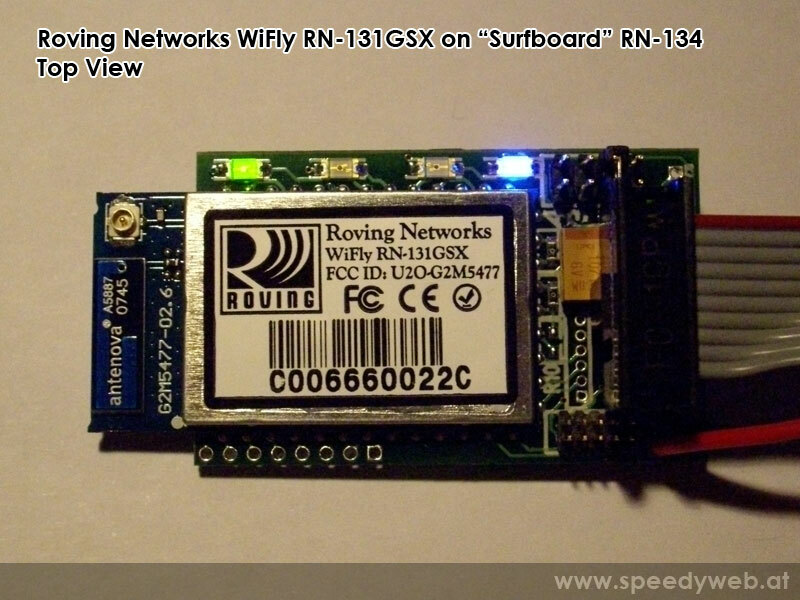 The RN-131 GSX Module is a 802.11 b/g wireless LAN Module with a lot of features – Details see datasheet. If you already have a GSX Module you can use my LabView source below to show the UDP packets which the module sends in default configuration every 7 seconds. 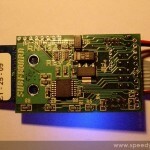 This information can be used to open a TCP connection to the module or to configure it over WiFi. The module has to be in the same subnet as your PC or MAC if you want to receive the packages. In the last weeks I thought about new projects (beside the Mikrokopter project). So I started to study Objective-C programming by myself to be able to code iPhone applications in future. A good start for doing that is the book “Cocoa Programming For Mac OS X” by Aaron Hillegass. 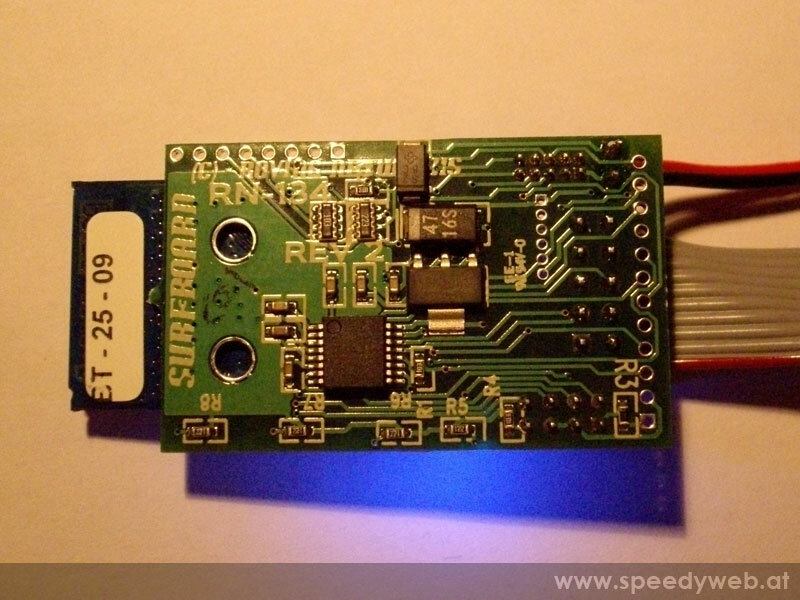 Because the SPP Bluetooth profile is currently not supported by the iPhone (OS 3.1), data transfer has to be done over TCP/IP or some other “frickel-ware” tricks (Audio, Display and Camera, other BT-profiles, …). Yeah, it’s summer and now I have time to continue my investigations in FPV-flying. Some weeks ago I had a little disaster and crashed my FlightCtrl and my NaviCtrl (shortcut in the connection cable). So I had to order a new NaviCtrl immediatly. I had luck, the MK-GPS and EPI-OSD survived. Ok, let’s get to the topic. A lot of people asked me, how I mount the camera and the EPI-OSD on my Mikrokopter. Thats a little bit complicated to explain and so I took some pictures to show you how I did it. Update – 30.05.09: Attention, if you want your C-OSD Version to work fully together with the NaviCtrl you have to connect the EPI-OSD to the debug port of you NaviCtrl! As you probably know I am a member of a team that has to built a robot. This is part of my education at the NTB in Buchs in the first two semester. Here is a short clip of the actual status. Details will follow at the end of the project. In the last days i tested the new version of DUBwise (Digital UFO Broadcasting with intelligent service equipment – coded by LiGi). The Kopter is connected via Bluetooth to the mobile device. In my case this was a Sony Ericsson W810i. The actual Version has the possibility to adjust all Settings (like the MK-Tool) and nice features are the Graph indicator and the Cockpit which displays a virtual horizont. Update 14.04.2009: Because some guys asked me how to install the application on their mobile phone, here is an instruction. For the installation you can use the “Installer” from LiGi (http://ligi-tec.blogspot.com/2009/03/dubwise-installer.html). Finally I finished the first semester of the NTB in Buchs. Beside working for my company I had to learn a lot – but – I also had some time to combine the requirements for the “robot” project in the first year with a possible nice feature for the Mikrokopter. The difference of these three types that I tested is the measuring distance or let me say their “sensitivity”. The GP2D120 if from 4cm to 30cm and the GP2Y0A02YK is from 20cm to 150cm. You are currently browsing the archives for the AVR category.